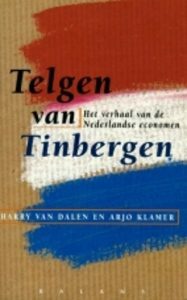 “It is a little superfluous for any foreigner to come to Rotterdam to lecture about economics at all. I feel a bit like a 17th century New England smuggler lecturing on seamanship to Admiral Tromp. The trade in economics nowadays is as much the other way: we send our young men to Rotterdam to learn, not our middle-aged professors to teach. Indeed some of our best middle-aged professors are named Koopmans and Houthakker! I suppose the logic of the situation is that I am not import at all; I am to be processed and re-exported, like cocoa beans.” — Robert M. Solow in 1963 when visiting the Rotterdam School of Economics. The field of economics proves to be a matter of metaphor and storytelling — its mathematics is metaphoric and its policy making is narrative. Economists have begun to realize this and to rethink how they speak. 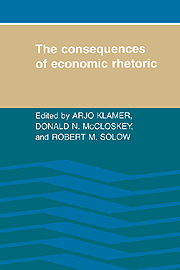 This volume is the result of a conference held at Wellesley College, involving both theoretical and applied economists, that explored the consequences of the rhetoric and the conversation of the field of economics. New Classical Economists and Opponents Speak Out on the Current Controversy in Macroeconomics. Totowa: Rowman and Littlefield, 1983. 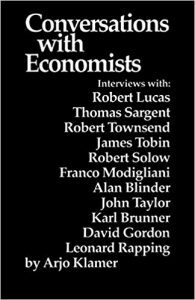 Published in England under the title The New Classical Macroeconomics: Conversations with New Classical Economists and Their Opponents. Wheatsheaf, 1984. Translated into Japanese, French, Polish, Spanish, Portuguese and Chinese.